Leading his corps to an incredible eight World Championship titles, it may be hard to believe that the 30-year executive director of the Mandarins, Ray Mar, took on the leadership role knowing little about drum corps. 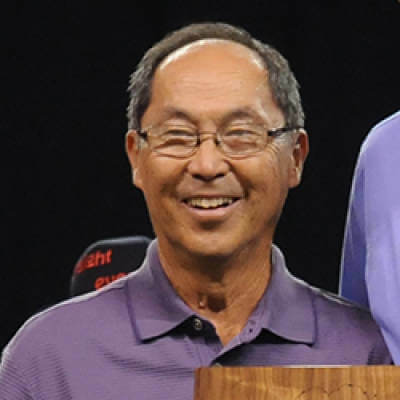 According to Mandarins Corps Director Jim Tabuchi, Mar first became involved with the organization while sitting in a living room with a handful of fellow parents, discussing how to resurrect an inactive drum corps called the Mandarins. "At that very first meeting he took on the role of corps director without even knowing what drum corps was about," Tabuchi said. "It is rare to find someone who has demonstrated Ray's level of greatness by starting with so little and creating so much." Soon after taking the reigns of the Mandarins, Mar's corps found its success with a slow but steady persistence. Working to tailor the productions and annual summer tour of the Mandarins to the size and talent of the group, rather than reaching beyond its means competitively and financially, four years after assuming the director post, Mar saw his corps win its first DCI World Championship title in the A-60 Division (later called Division III and now Open Class) followed by another in 1988. The Mandarins have won a total of eight World Championship titles, including an unprecedented string of four straight from 1996 to 1999, a record that in DCI's more than 40-year history has not been repeated in any of its competitive divisions. "The success of his corps dispels the myth that size alone determines a championship-caliber corps," Pioneer director and DCI Hall of Fame member Roman Blenski said. Since his start in the early 1980s, Mar has served as a volunteer director, never taking a paycheck for his work, while supporting his family with a successful career outside of the drum corps activity. With a quiet and steadfast leadership style, he has served on various Drum Corps International committees, including the Division II & III Executive Board (now the Open Class Advisory Committee), and has twice been recognized as a DCI Director of the Year in 1992 and 1998. Though the Mandarins made the jump to Drum Corps International's World Class in 2003, Mar has remained a champion for DCI's Open Class, mentoring directors of current and startup corps. "Ray is always someone to go to for advice, as he is a good listener who is polite and direct," Blue Devils B director and Hall of Fame member Rick Odello said. "He is always decisive and has an opinion whether you agree with it or not. Ray has great courage to tell it like it is."